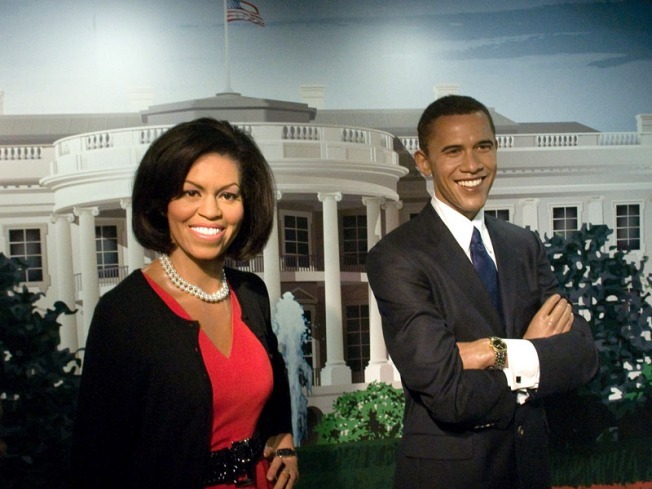 A wax figure of first lady Michelle Obama stands next to a wax figure of President Barack Obama at Madame Tussauds. WASHINGTON -- Sasha and Malia Obama dropped by Madame Tussauds Monday afternoon to see what life could be like with wax parents. 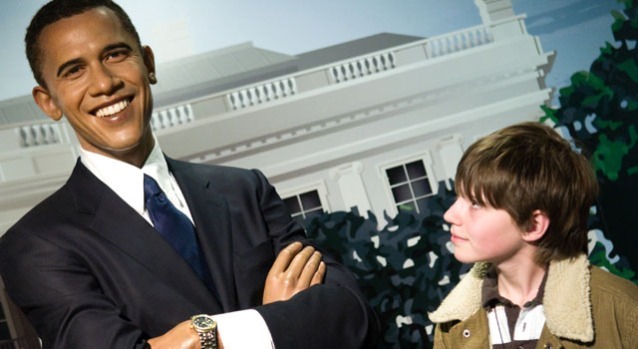 The girls spent about an hour at the museum, which features wax statues of President Barack Obama and first lady Michelle Obama. Other than their Secret Service chaperones, the girls were like any other museum-goers, officials said. They even declined special treatment, declining an offer to skip to the front of the line to see the Oval Office replica. According to museum officials, the girls started giggling as soon as they saw their parents immortalized in wax. The girls also took photos with statues of Miley Cyrus, Beyonce and Jennifer Lopez, museum officials said.